Carpet cleaning is a service that is offered across the nation. Because manufacturers recommend professional carpet cleaning services at least once or twice a year (depending on the floor traffic and other factors) or more frequently if needed, to properly maintain the condition, health, and aesthetics of your carpet, there is a constant need. Most consumers have their questions regarding carpet cleaning, and we at CA Carpet Cleaning and Water Damage Clean Up would like to answer a handful of the most common frequently asked questions. Is it Expensive to have Carpets Professionally Cleaned? As a competitive industry, most dependable carpet cleaning companies offer affordable rates and the small cost of professional carpet cleaning is less expensive than frequently getting the carpets replaced. How Long Does it Take to Clean and Dry My Carpets? Contingent on the size of the area needing to be cleaned and the processed used in addition to other circumstances dictates the amount of time it takes to complete as well as dry fully. Most technicians can give you an estimated time they suspect the cleaning and drying will take on arrival. 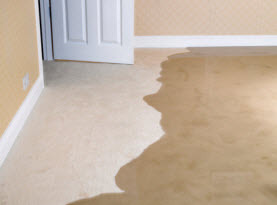 Is Carpet Cleaning Disruptive to Daily Routines Around Your House? Carpet cleaning services are booked according to your time frame and what is convenient for you. It is optimal to have it completed when there is little to no foot traffic and it should not be walked on until it is fully dried. Manufacturers and experts in the industry agree every 6-12 months is optimal for professional carpet cleaning to include in your maintenance. Keep in mind, to validate the warranty, it is required to have the carpets professionally cleaned. When Can I Walk on the Carpets After They are Cleaned? Typically, the dry time is 6-8 hours, which is the time you need to stay off the carpet. It is also recommended you wait 48 hours before placing the heavy furniture. What to Do Before the Carpet Cleaning Technicians Arrive? 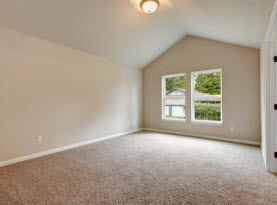 In the rooms that are being carpet cleaned, remove any fragile items off of furniture and remove the objects such as toys, rugs, dog beds, and so on. Pre-vacuuming is always appreciated. To get the best results, furniture should also be moved if possible. Some companies will move it for you, but most leave it up to the homeowner. Will Professional Carpet Cleaning Remove Pet Odors? 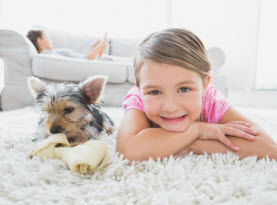 Where professional carpet cleaning is highly-effective against combating pet odors, it really depends on the severity of the damage that has been done, especially concerning urine. Most companies will not guarantee the odor removal from pet odors because of the contingency. A professional carpet cleaning will contribute to rectifying any flea infestation you may have, however, you need professional pest control service to efficiently remove the fleas. 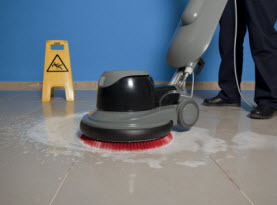 At CA Carpet Cleaning and Water Damage Clean Up, we pride ourselves on delivering maximum results to our valued customers in Southern California. We are happy to answer any other questions or give clarification to our policies prior to your service. Call us today if you are due or your carpets are in need of professional carpet cleaning today!